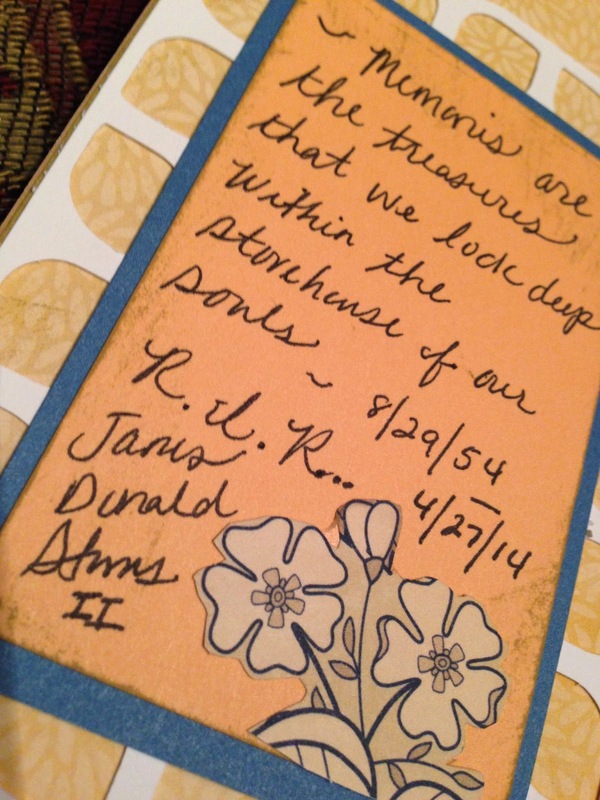 My dearest uncle loss his battle with cancer 4.27.14. 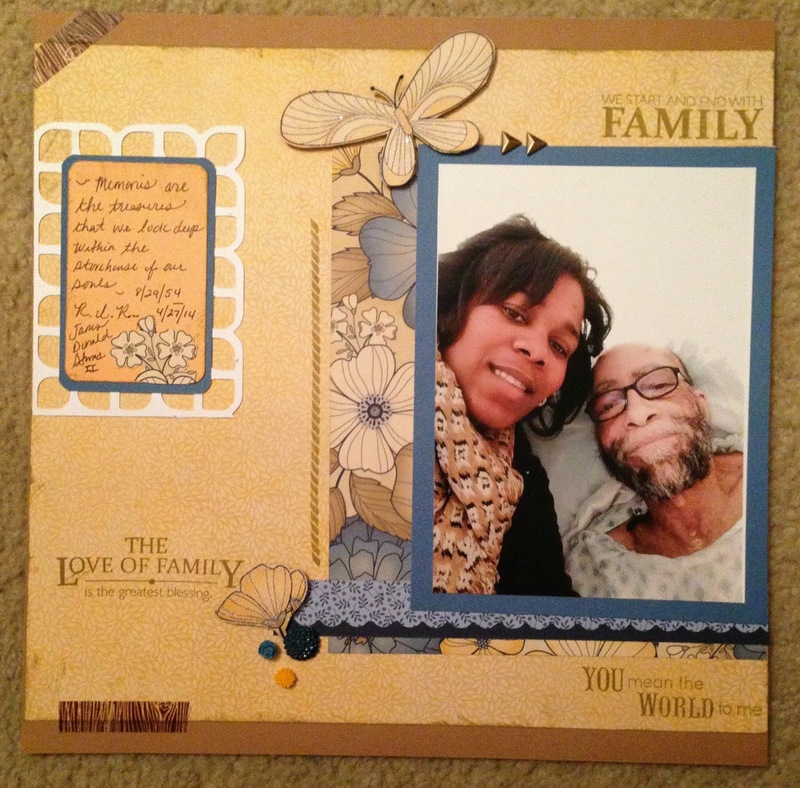 Here are the first couple of layouts I created in his memory. I plan to put together an entire scrapbook. I really like how this came out. I used the retired CTMH paper Pemberly. 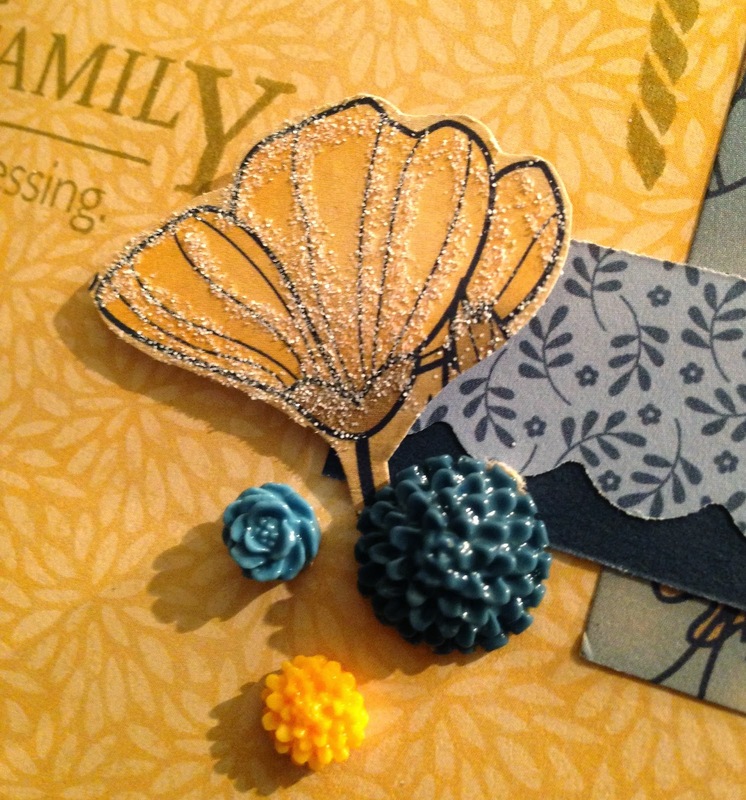 The stamp sets are from the Pemberly WOTG and Family Love. They both were perfect for this layout!! 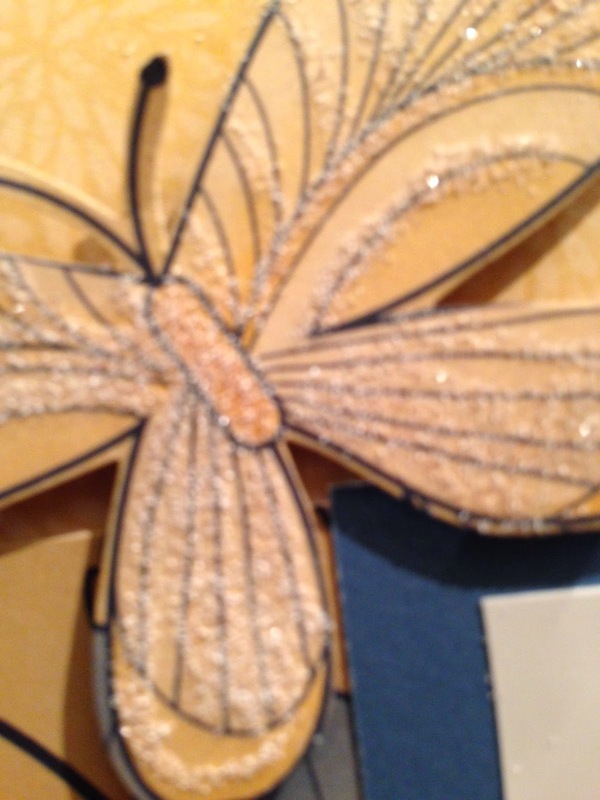 Here is an up close pic of a butterfly I cut out from the patterned paper. I glittered it up. Same here with the flower. I cut it from the patterned paper and added some glitter. 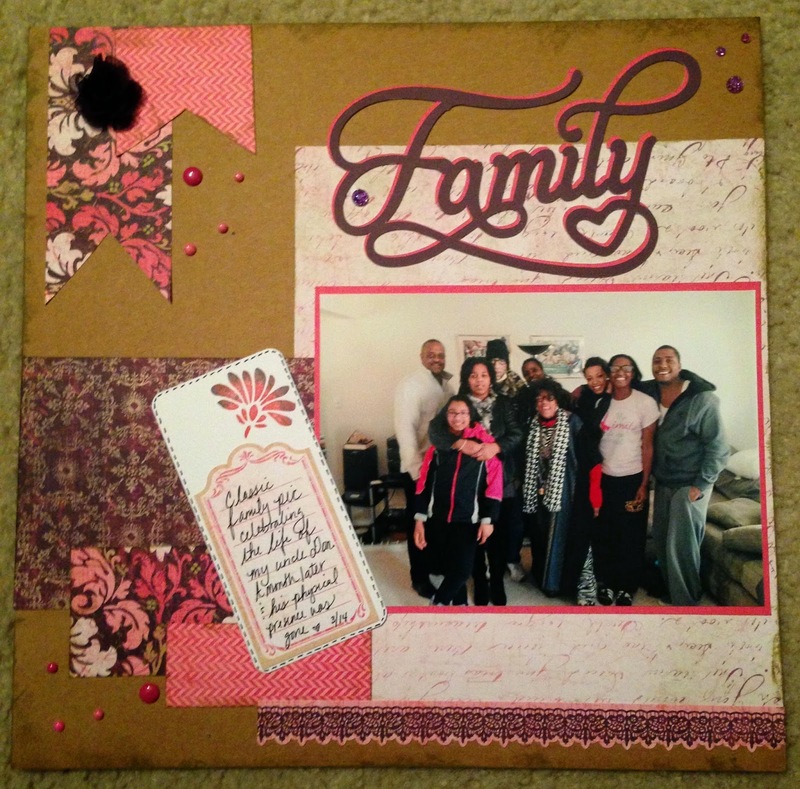 This is a two page layout using the Ivy Lane Scrapbooking WOTG. 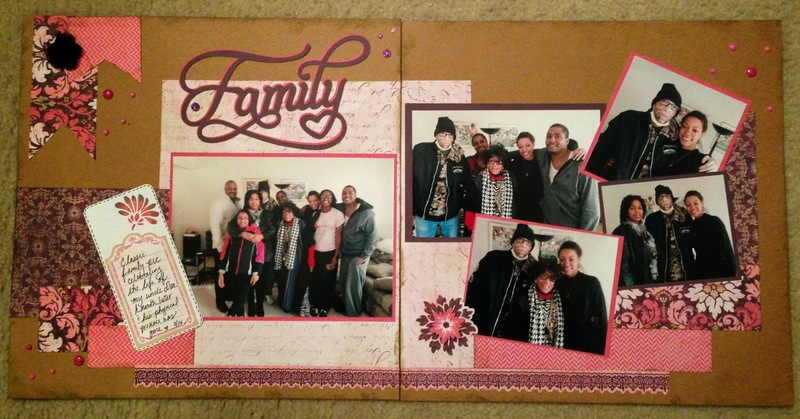 I used the Artiste cricut cart to cut out the title "Family"
This is an up close of the right side of the layout. Here is an up close of the left side of the layout. 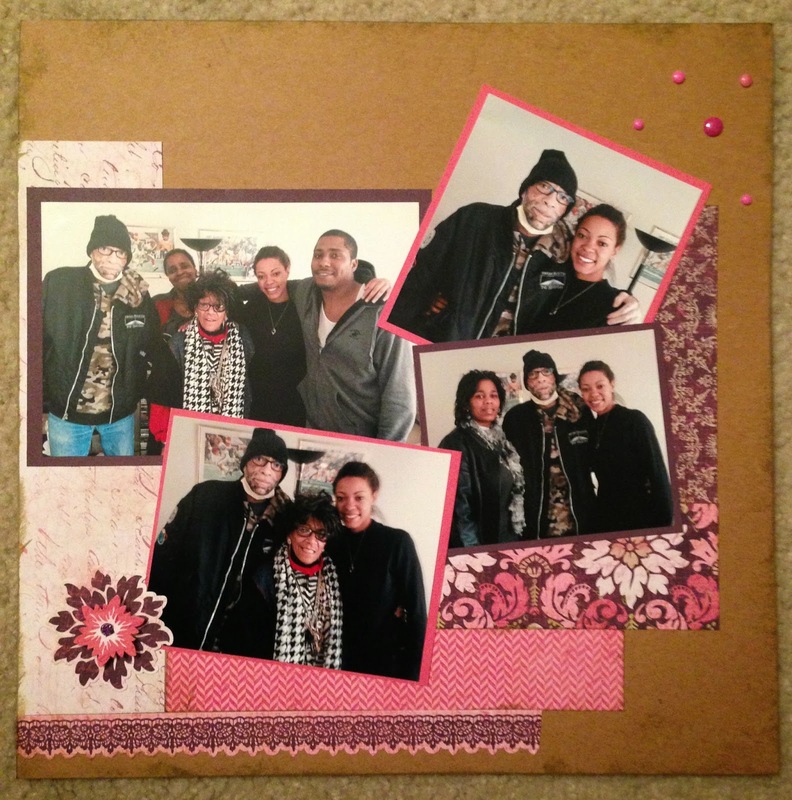 Sweet memories...Love the use of multi photos! Thank you :-) Sometimes I have anxiety using so many pictures on one page but this worked well. My condolences on the loss of your Uncle, Soror Shalana. Your layouts are a beautiful showcase of your memories. Thank you Soror Karen! I still have tons of pictures just difficult for me to concentrate when I am scrapping them!